The majority of people – including GPs – are unable to visually identify whether a person is a healthy weight, overweight or obese according to research by psychologists at the University of Liverpool. Researchers from the University’s Institute of Psychology, Health and Society asked participants to look at photographs of male models and categorise whether they were a healthy weight, overweight or obese according to World Health Organisation (WHO) Body Mass Index (BMI) guidelines. They found that the majority of participants were unable to correctly identify whether they were a healthy weight, overweight or obese person. Participants instead underestimated weight, often believing that overweight men were a healthy weight. In a related study of healthcare professionals, the researchers also found that GPs and trainee GPs were unable to visually identify if a person was overweight or obese. 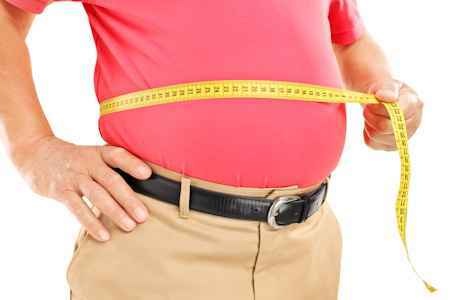 The researchers also examined whether increased exposure to overweight and obese people affected a person’s ability to estimate the weight of a person. Their findings suggested that exposure to heavier body weights may influence what people see as a normal and healthy weight and causes people to underestimate a person’s weight. Psychologist, Dr Eric Robinson, who conducted the research, said: “We wanted to find out if people can identify a healthy, overweight or obese person just by looking at them. Recent studies have found that parents underestimate their overweight or obese child’s weight and this could also act as a barrier to intervention. The UK has the highest level of obesity in Western Europe. Obesity levels in the UK have more than trebled in the last 30 years and, on current estimates, more than half the population could be obese by 2050. More than half of the adult population in the European Union are overweight or obese. The research was presented at the UK Congress of Obesity and the study of GPs is published in the British Journal of General Practice.